Let the little ones have the time of their lives at Captain Kid's Candyland! 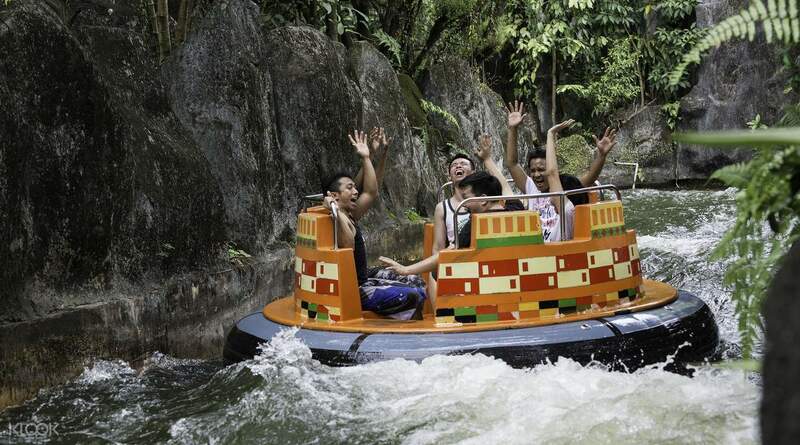 If you are visiting Ipoh, be sure to visit the Lost World of Tambun for an exciting eco-adventure! Promotion: Get 3 adult tickets at a discounted price for a limited time only! 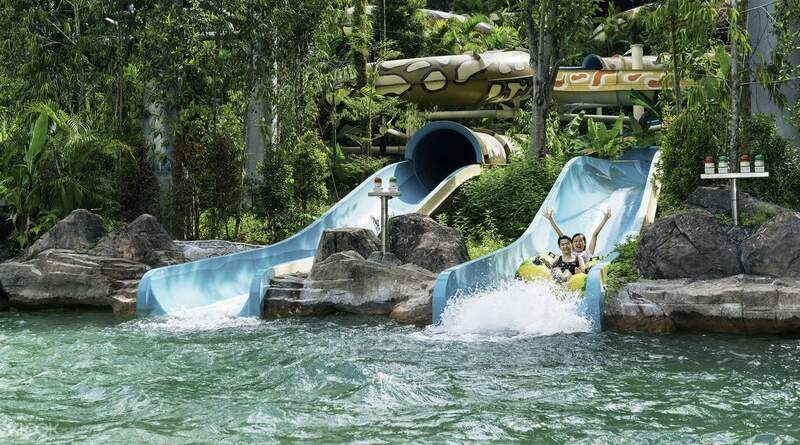 Located only a short 45 minute drive from the busy Kuala Lumpur lies the perfect destination for adventurers and water activity enthusiasts - the large Sunway Lagoon water park guaranteed to be the much needed escape from the city heat. 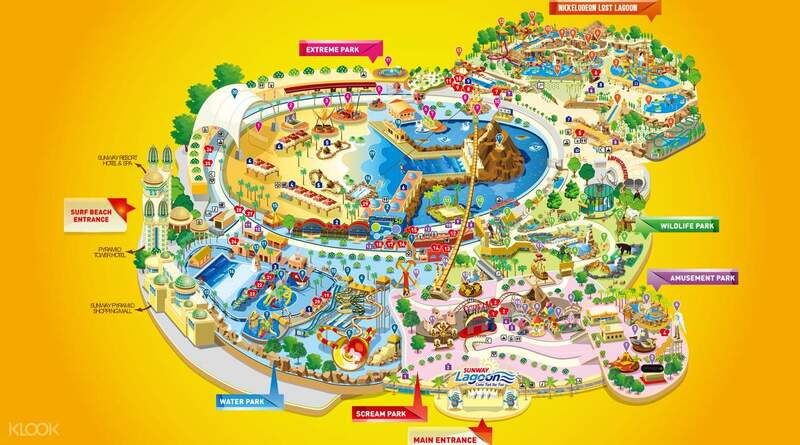 With Sunway Lagoon tickets, six exhilarating experiences, including Nickelodeon Lost Lagoon, await you at the park. Escape the hot tropical climate at Vuvuzela - the world's largest and highest water ride; see the world upside down on the Tomahawk and Pirate's Revenge ride, meet over 150 animal species or challenge your friends to the Congo Challenge. Sunway Lagoon in Kuala Lumpur rewards it's visitors with an adventurous and fun-filled afternoon for the whole family! So worth it to buy tickets from Klook. It's fast, easy & convenient. So lucky we had purchased quack express since there were so many people during weekend. We had saved our time a lot and enjoyed the day even around 3pm there got heavy raining for a while. We got park tour at first followed by water splash games afterwards. Thank you Klook! So worth it to buy tickets from Klook. It's fast, easy & convenient. So lucky we had purchased quack express since there were so many people during weekend. We had saved our time a lot and enjoyed the day even around 3pm there got heavy raining for a while. We got park tour at first followed by water splash games afterwards. Thank you Klook! very amazing place to visit. many people come here with children. better to visit on a weekday. have time to see everything and take a ride everywhere. There are also attractions for an extra fee. they also have a zoo. when booking a book before visiting, do not forget to take your passplt with you they check for whom the ticket is issued. all the best! very amazing place to visit. many people come here with children. better to visit on a weekday. have time to see everything and take a ride everywhere. There are also attractions for an extra fee. they also have a zoo. when booking a book before visiting, do not forget to take your passplt with you they check for whom the ticket is issued. all the best! Brilliant activities!! Dont forget to get a water proof pouch for ur mobile. There ot costs 45 myr, u can buy from any other shop in KL for as low as 8 myr. Do take all three slides in each theme ride, as all slides gives different types of experiences. A must visit place for sure. The pet village and birds parks are absolutely amazing!! Brilliant activities!! Dont forget to get a water proof pouch for ur mobile. There ot costs 45 myr, u can buy from any other shop in KL for as low as 8 myr. Do take all three slides in each theme ride, as all slides gives different types of experiences. A must visit place for sure. The pet village and birds parks are absolutely amazing!! We dont have to queue at the online counter to collect the tickets Everything was perfect. And we try the quack express pass too, express pass which allows you access to dedicated express lanes so you can skip the queue and enjoy more rides. Thanks klook. We dont have to queue at the online counter to collect the tickets Everything was perfect. And we try the quack express pass too, express pass which allows you access to dedicated express lanes so you can skip the queue and enjoy more rides. Thanks klook. had so much fun in sunway lagoon. as soon as you enter the park, adults can feel being young again. whoo, its complete have animal show. even have performers to add more entertainment in the park. water park was superb. no need to worry for food. they have different food chains inside. whenever you want to have a quick bite.. had so much fun in sunway lagoon. as soon as you enter the park, adults can feel being young again. whoo, its complete have animal show. even have performers to add more entertainment in the park. water park was superb. no need to worry for food. they have different food chains inside. whenever you want to have a quick bite.. It was amazing day that we had a fun with the water plays and eating the traditional Malaysian food. I hope I can do it again. I and my family were very happy with the suspension bridge and the artificial beach. Also, we enjoyed the speed train and the scream home. Thank you so much. It was amazing day that we had a fun with the water plays and eating the traditional Malaysian food. I hope I can do it again. I and my family were very happy with the suspension bridge and the artificial beach. Also, we enjoyed the speed train and the scream home. Thank you so much. The water park and mini zoo are very interesting for my children. Many kinds of food that we can buy for lunch such as subway, KFC, that my kids love it. eventough it was hot weather but still feel comfortable. The water park and mini zoo are very interesting for my children. Many kinds of food that we can buy for lunch such as subway, KFC, that my kids love it. eventough it was hot weather but still feel comfortable. Collected the tickets with no issues at all. Klook price is way more cheaper than the OTC rates. So higy recommended to book here. One day is not enough to explore the 6 themed-park. 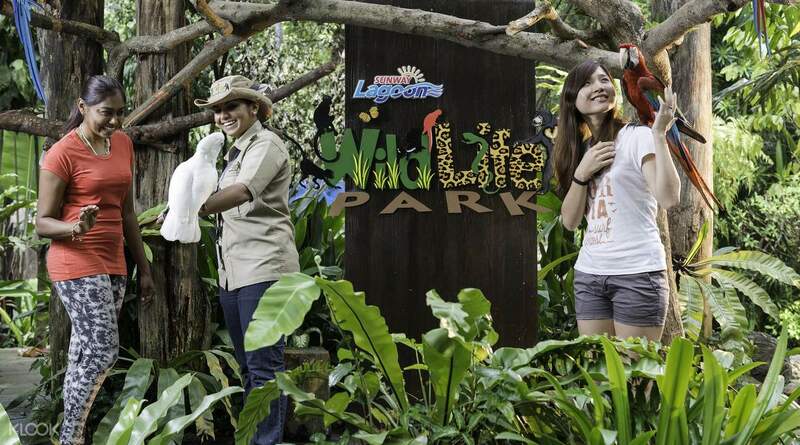 Good for families, friends and even senior will enjoy Sunway Lagoon. Collected the tickets with no issues at all. Klook price is way more cheaper than the OTC rates. So higy recommended to book here. One day is not enough to explore the 6 themed-park. 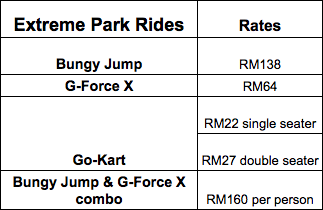 Good for families, friends and even senior will enjoy Sunway Lagoon. The resort has a lot of attractions to go to, not only swimming. The animals at the park seems well looked after. The water slides were okay, although not thrilling enough. We enjoyed the Tomahawk ride the most. If you go there during the weekdays, express pass isn’t necessary. The resort has a lot of attractions to go to, not only swimming. The animals at the park seems well looked after. The water slides were okay, although not thrilling enough. We enjoyed the Tomahawk ride the most. If you go there during the weekdays, express pass isn’t necessary. Q: I saw a warning that suggests that some tickets sold by resellers are not valid and will not be accepted. Are the tickets bought from Klook genuine? Will I have any problems at the admission gate? A: Unlike third party platforms who may hold fraudulent tickets, Klook is an authorized reseller of Sunway Lagoon. All tickets sold by Klook are genuine and will be accepted at the admission gate.